Translating from your native language to another is full of pitfalls. The only way that you can be sure is if each word is fully explained, in context. PONS goes very much in this direction. Having entered the search term, you have listed the various definitions in the native language, and then the individual translations. This is very useful... as in a dog collar; wouldn't want to confuse a canine friend with a priest, would we? Here you enter far more text, such as a sentence or paragraph, and then press 'translate'. No alternatives are offered but there is a 'result satisfactory' button. This reminds you to be very careful when translating. As an example, 'My vicar sports a dog collar' translates as 'my vicar wears a dog's collar'. this enables you to have immediate access to your important translations. The App is free and supported by advertising. A dictionary is indispensable. The single word translations are very comprehensive. The App requires an Internet connection... hardly a surprise, given the App's name. There are no particular issues. Single word translations are excellent. 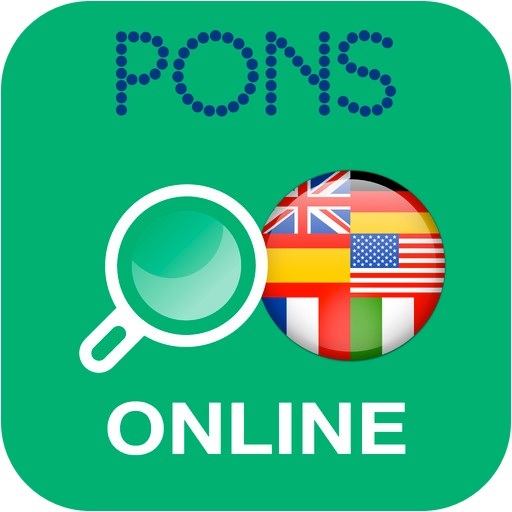 You can get PONS Online Dictionary here and support for the App here. The developer advises that there has been an update to version 1.6.3 of the App. The developer advises that there has been an update to version 1.7.2 of the App.